It is all but official, Al Franken is running for Senate in Minnesota. I cannot wait for that campaign. Norm Coleman doesn't stand a chance. 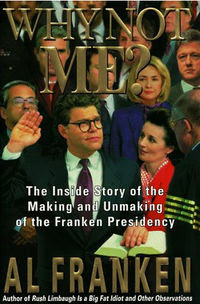 Franken will make mincemeat out of Coleman. I'm really glad he decided to run. Coleman is such a pandering, flip-flopper that Franken should be able to destroy him. But right-wing blogs and talk radio will make Coleman their favorite Republican just because they hate Franken.